Piqua, Ohio, Jan. 26, 2015 – Hartzell Propeller Inc. will become the propeller technical partner of the Red Bull Air Race World Championship series for the second consecutive year in 2015. Hartzell will again provide its three-blade structural composite propeller known as “The Claw,” carbon fiber composite spinners, and lightweight governors to each race team. 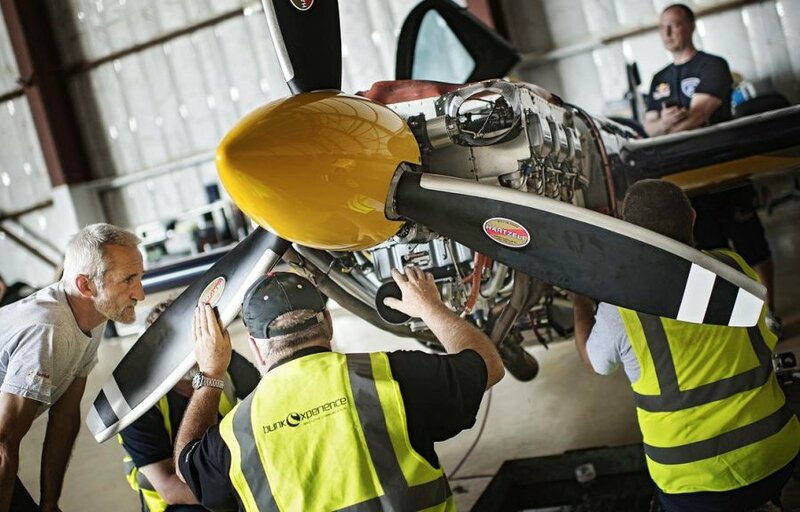 Hartzell will also supply complete propeller technical support and maintenance services for all of the entrants for races throughout the world. The standardized race propeller produced by Hartzell is a feat in aerodynamic engineering – a perfect showcase of the groundbreaking achievements and innovations that are at the very foundations of the Red Bull Air Race World Championship. Hartzell’s three-bladed structural composite propeller was nicknamed “The Claw” by famed aerobatic performer Sean D. Tucker due to its high thrust and low gyroscopic forces and inertia. The new 2015 Red Bull Air Race World Championship season will kick off on in February with the traditional opening round in Abu Dhabi. The inaugural race in Japan will then land in Chiba, on the edge of Tokyo Bay, in May. The World Championship moves to another new location in Russia, with a stop in Sochi in late May. Budapest, Hungary marks the start of the European leg in July. The second half of the 2015 season begins during August in Ascot, Great Britain, before it returns to Spielberg, Austria in September. The season concludes with two stops in the United States – in Fort Worth, Texas in September and the season finale will be flown in Las Vegas in October.